This Viking has been to hell and back... literally. Now he is the most gruesome of all gladiators. He has no problem picking up an axe and chopping anyone to bits who dares to stand in his way. Gruesome we know but hey, being a true Viking means showing no mercy! 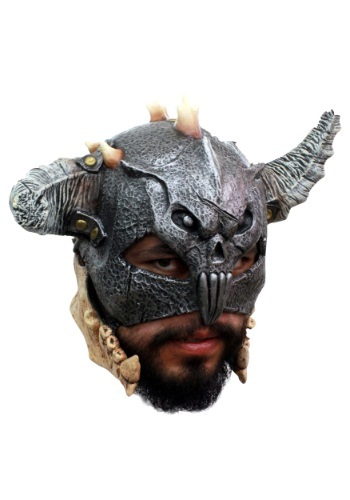 Become the maniacal ancient warrior when you wear this Mandible Viking Warrior Mask. A mask made for a true warrior, made from the skeleton of your enemies. Bones, teeth, horns, this Viking is not one to be messed with and it shows, just look at his helmet! You will be a walking talking billboard for what will happen when you cross a true warrior! We hope you’re up to the task of being a Viking.